In the biggest game of the season, the Montreal Impact faltered badly in the second half. 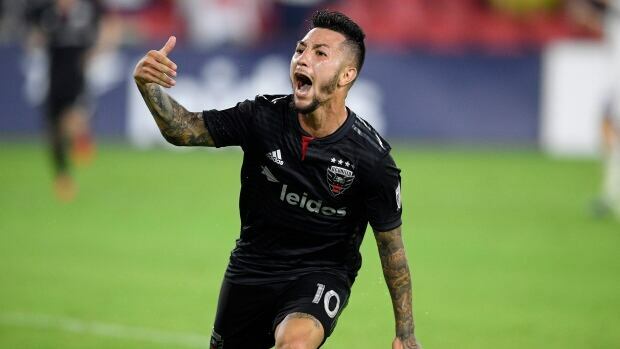 Luciano Acosta had a goal and three assists, Wayne Rooney and Paul Arriola each scored two second-half goals, and D.C. United beat the Impact 5-0 on Saturday night. "In the first half, I wasn't under the impression that we would play such a horrible second. There are certain behaviours we need to correct," said Impact coach Remi Garde. "These are important games in which we need all 11 players on the field to be at their best physically, mentally, and in their aggressiveness. Today, we were outclassed by our opponent in these categories." "When we look back on the season, this will be the moment that we decided if we stepped up or we crumbled," said Impact striker Quincy Amarikwa. "I'm confident of the quality we have in the locker room, and we're going to use this as motivation to move forward into the playoffs."